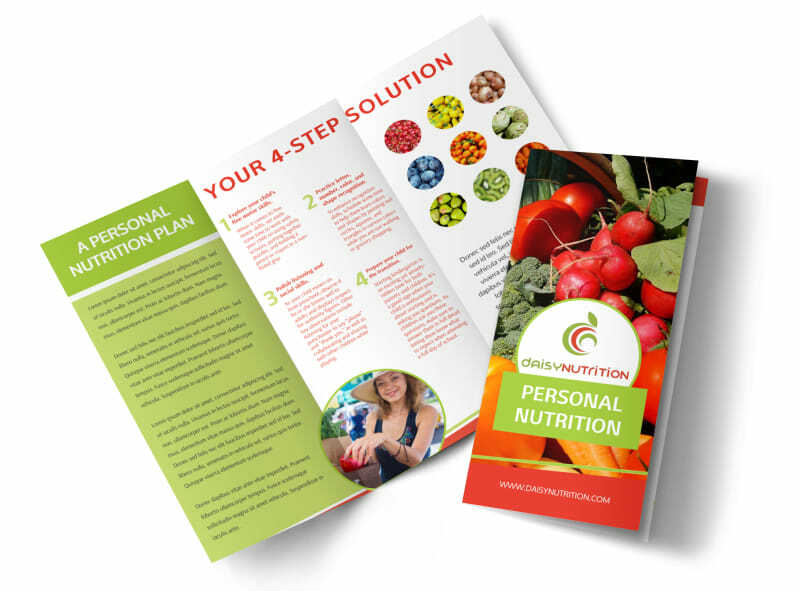 Customize our Nutrition Consultation Tri-Fold Brochure Template and more! 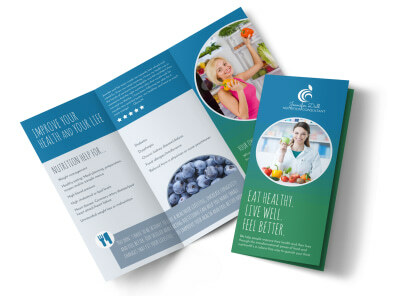 Let dieters and others know that you are there to help them get there to help them get their macros in line with this brochure advertising your nutrition consulting business. Highlight all your catchy text with the color theme and images of your dreams by using our interactive online editor. 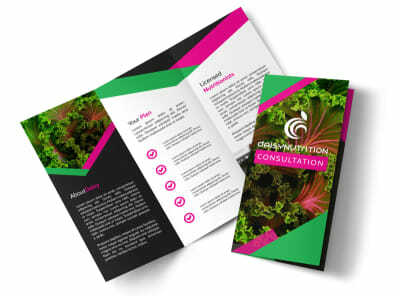 Begin designing your brochure with just a click of your mouse and a few keyboard strokes now.